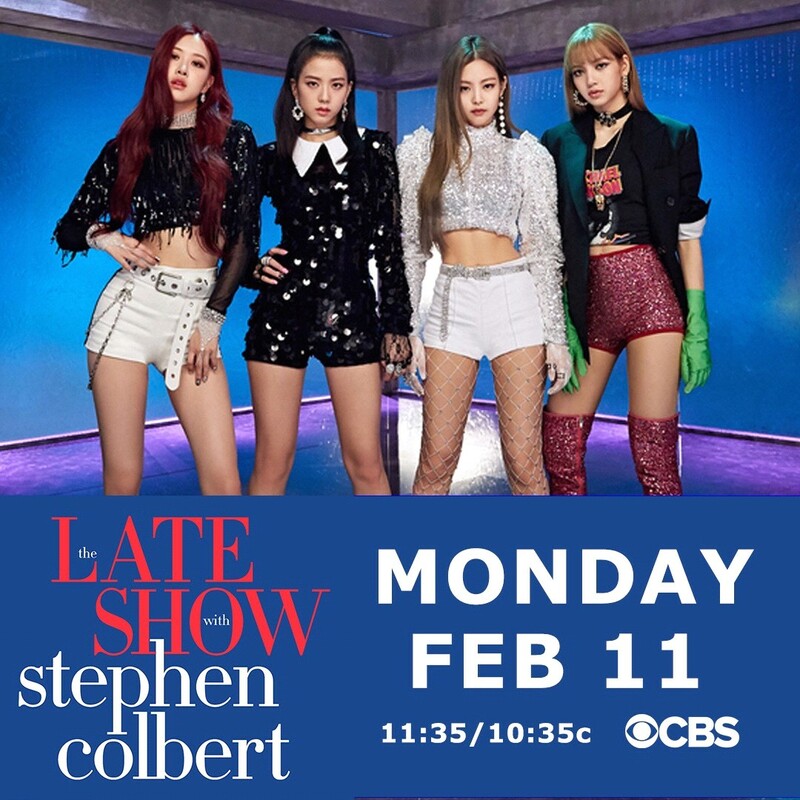 Black Pink has proved their unique class by making it the first Korean artist to appear in the show " Late Show with Stephen Colbert"!! Following Good Morning America, Black Pink has proved its unique class by making it the first Korean artist to appear in the show " Late Show with Stephen Colbert’ "
The U.S. CBS made an official announcement on last Wednesday (local time) that Black Pink will appear on "The Late Show with Stephen Colbert," a late night talk show that boasts the highest ratings in the U.S.
“The Late Show with Stephen Colbert” is a late night talk show by CBS, which more than doubled the ratings of its rival's late night talk show "Jimmy Fallon Show" and more than three times that of "Jimmy Kimmel Show." The program's YouTube channel has accumulated around 4.2 billion views. It is the first time a Korean artist has met Stephen Colbert. Especially The Late Show with Stephen Colbert ' is filmed at the Ed Sullivan Theater in Manhattan, New York. Ed Sullivan Theater is also famous for having its first debut stage when the legendary British band 'Beatles' made their debut in the U.S. Black Pink will also stage in the same place. Famous singers such as Timberlake and Jack Black, as well as influential politicians, were featured. In addition, top superstars such as Paul Frederic Simon, Lil Wayne, Janelle Monae, and Dua Lipa performed on the show. "Good Morning America (GMA)," which will be broadcast on ABC, reported on Monday (local time) that Black Pink will appear on "Good Morning America" through an official social media. Black Pink will also appear in 'Strahan and Sara (GMA Day)' on the 15th. Fans around the world are paying attention to how Black Pink in the most popular U.S. shows and Good Morning America, will appeal to American viewers. Meanwhile, Black Pink announced their full fledged debut in the U.S. last year in cooperation with Inter Scope of Universal Music Group, the largest music label in the U.S., will be on stage at the "Coachella," the first K-pop idol festival in the U.S. on April 12 and 19. It also continues "global girl group" with their first world tour debut in Asia, North America, Europe and Australia.